Simple and elegant, The Hotel Juana is a sensory charming landmark in the heart of Juan les Pins, with a Provencal garden, a hidden swimming pool and a gourmet concept restaurant, Bistrot Terrasse. 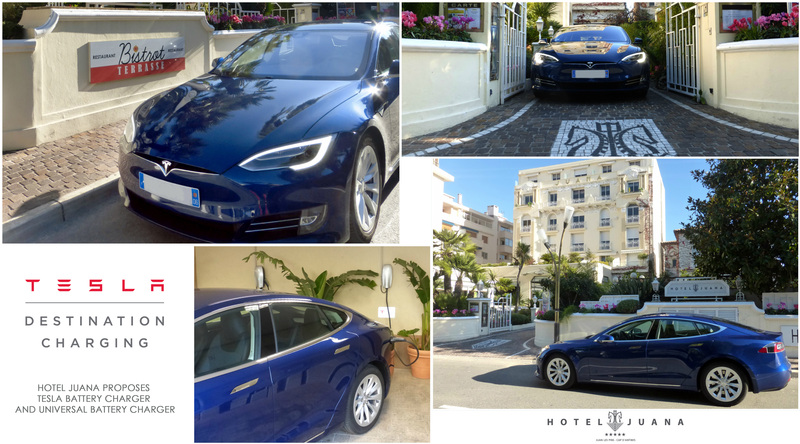 The Juana Hotel is at the centre of the Riviera, emblematic of the prestige and glamour of the Côte d’Azur. Famous not only for its unique panorama of both mountain and sea, the Côte d’Azur is a unique region in the world, characterised by its cultural riches and dolce vita. Many artists have been inspired by the natural beauty of the scenery, from Renoir to Matisse, Pablo Picasso and Nicolas de Staël to name a few. The diversity of the Côte d’Azur extends from Saint Tropez and its famous beaches to Monaco, princely and cosmopolitan, without forgetting Nice – a city of art and culture and Cannes, with its world-renown International Film Festival. 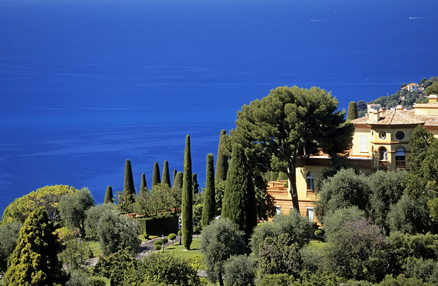 Escapades out to sea and along the coastline are some of the most beautiful in the Mediterranean. 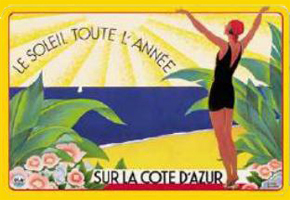 Discovered and launched by Cole Porter and F. Scott Fitzgerald, the seaside resort of Juan les Pins was created in 1882 and developed in the thirties under the impetus of the American billionaire Frank Jay Gould, after which the Pine tree gardens are named. 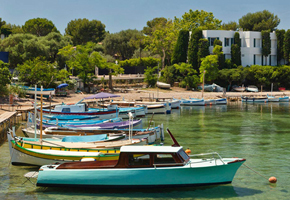 A festive, family-oriented resort, since 1960 Juan les Pins also plays host to one of the oldest Jazz festivals in Europe. Not just a residence for millionaires, the Cap d’ Antibes is equally a place where people can come to enjoy marvellous walks along the coastal paths and a top spot for famous water sports such as water skiing and SCUBA diving in the Anse de l’Argent Faux. 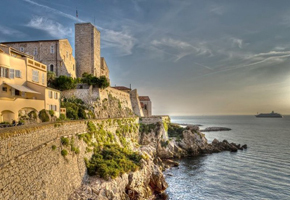 A cultural and artistic town, Antibes epitomises the dolce vita of the Riviera. The Greek and Roman walls encircle the old town in which you’ll find, amongst other interesting sites, the Grimaldi Castle, the Picasso Museum and the famous Provencal market. A nautical town with its celebrated Millionaires’ Quay, Antibes is the largest port in the Mediterranean offering all the necessary infrastructure to welcome mega yachts. Antibes is a unique town on the Riviera, next to the international techno-pole of Sophia Antipolis, balancing the traditional and modern with brio. 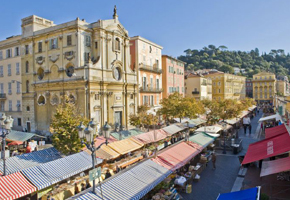 A city of many scents and flavours, Nice has a truly rich cultural and historical heritage. Between the mountains and the sea, this dynamic city unveils many surprises in the old town with its flower market and its museums (Chagall, Matisse..). The new grass-covered promenade and the Botanical Gardens offer a chance to enjoy a stroll in romantic settings. A major point of entry to the Côte d’Azur with its international airport, Nice is also the starting point of many cruises. 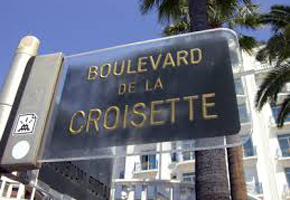 Renowned for its International Film Festival, Cannes is also the place to shop on the Riviera along the famous Croisette where you’ll find all the most prestigious luxury brands. With its casino, nightlife and congress facilities, Cannes also draws from the mystery of the Lérins Islands that sit opposite the town – unique gems of natural and historical interest.